At Regency, our skilled craftspeople take great pride in ensuring every detail comes together to enhance your every moment on the water. 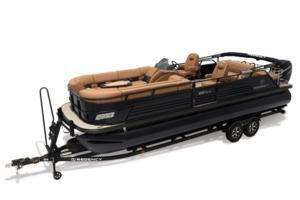 From the durable, yet stylish and easy-to-clean, powder-coated logs to the color-keyed Bimini top to the standard performance features, to the intricate stitching–every aspect of every model has been painstakingly designed and crafted to leave a great impression on your and your guests for years to come. It’s a commitment to quality we gladly stand behind with our 10-year bow-to-stern warranty and a limited lifetime structural and deck warranty. A Grand Way to Unwind. REGENCY welcomes you to join us on the water with our 2019 family of luxury pontoon models. Invite your family and friends out for an afternoon of relaxing in the summer sun. Enjoy a quick cruise as you head for your favorite waterfront restaurant. Or head out in the early morning to witness the sunrise and experience nature at its most peaceful hour. Each of our seven models is carefully crafted to ensure that no matter how spirited or leisurely you spend your day, you and your guests will be wrapped in elegant comfort the entire way. From the convenient creature comforts throughout to the open-space design to the three-log performance package, our team has employed the industry’s highest standards to design and build each model to exceed your expectations. Brand new for 2019: The 210 DL3, starting at $41,995. you need to unwind. Welcome aboard. Classic Comforts. The DL3 Series. 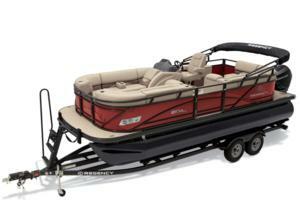 These models fuse classy styling with deluxe amenities to surround you with comfort any time you’re on the water. With powder-coated logs and rails, an easy-to-deploy QuickLift Bimini top, deep lounges,and a raised helm, the DL3 models offer you the best seats on the water for relaxing with friends. The re-designed 230 LE3, starting at $56,710. Welcome to Luxury. The LE3 Series. We invite you onboard the LE3 series, a sleek combination of performance, comfort and convenience. This is where you can entertain family and friends through a leisurely evening. Take a spirited cruise to your favorite dockside restaurant. Or, just relax away the afternoon with the sun on your face and the wind in your hair. Our flagship: the 2019 Regency 250 LE3 Sport, starting at $70,795. Sport Side of Luxury. The LE3 Sport Series. From lounging away the evening to spotting for a wakeboarder, the two-model LE3 Sport Series offers you the opportunity to experience the sport side of luxury. 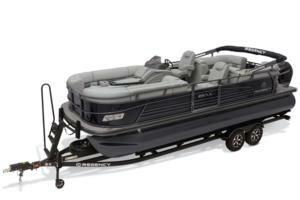 In addition to renowned REGENCY quality and comfort, it amplifies your time on the water even more with aft switchback lounge, unique stainless steel aft railings and more.